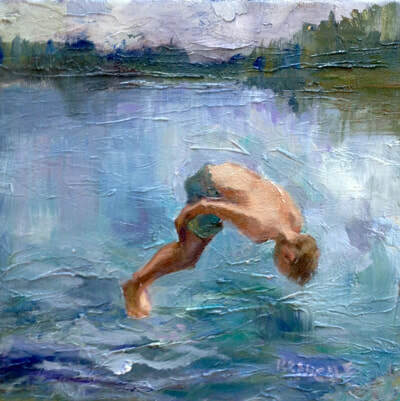 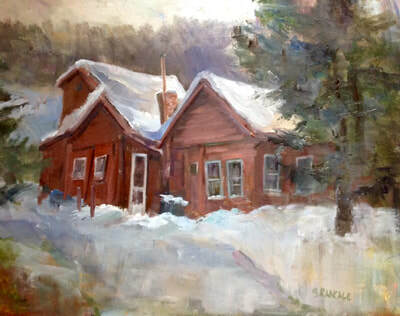 Joan Brancale is an oil painter from Massachusetts with a studio in Hingham and in West Dennis on Cape Cod. 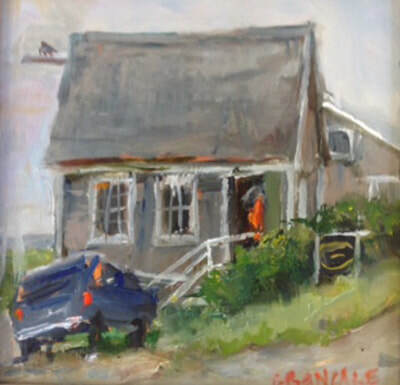 Painting trips take her to Maine and other regional locales looking for nostalgic settings or local color but most of the summer Joan lives and works on Cape Cod. 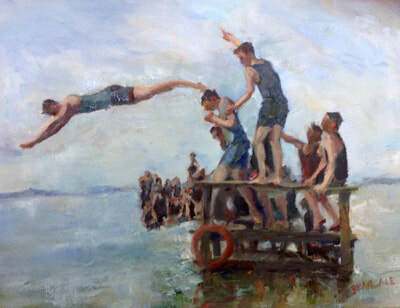 Her paintings delight in many summers spent there, knowing where to explore for beauty off the beaten track or finding bits of summer life that tell a story. 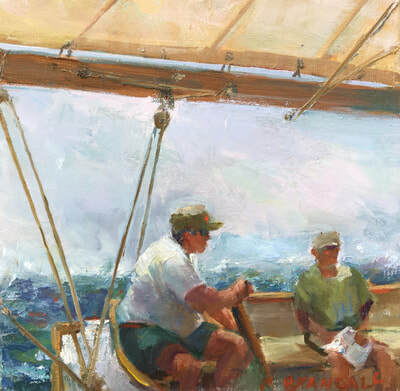 The appeal of her work is in expressive brushwork, rich color and the artist’s ability to explore the emotional underpinning of a scene beyond what she sees. 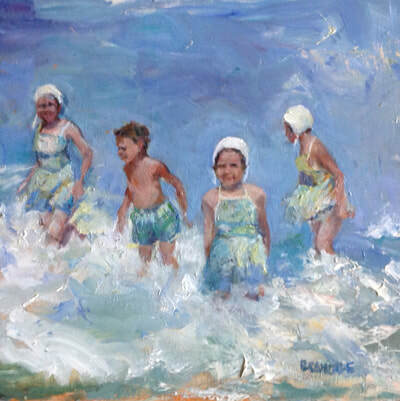 Her imagination triggers connections that often resonate with collectors. 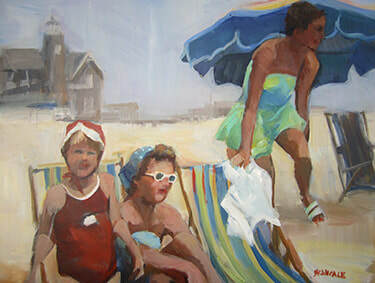 Joan began her career as a professional scenic designer for theatre. 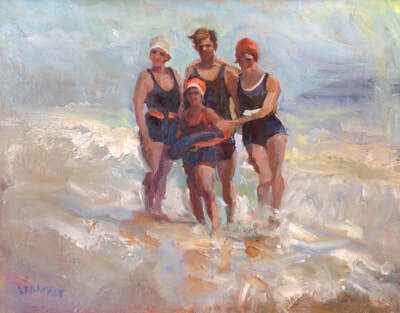 After graduating from Mount Hoyloke College Joan received an MFA in Design from NYU Tisch School of the Arts and became a member of United Scenic Artists Local #829 in NYC, before moving to Massachusetts where she lives with her husband Bob, raised two sons, continued to free-lance in theatre and develop as a fine artist. 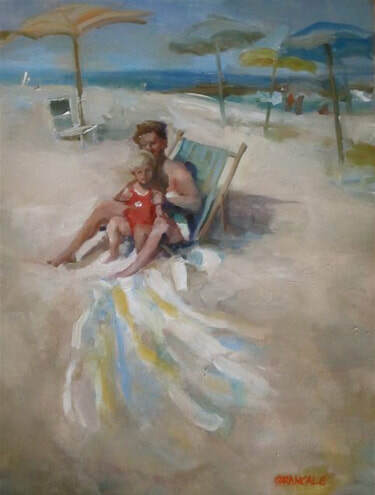 She is a juried Artist Member of the Copley Society of Art, a juried Gallery Artist at Cape Cod Art Association and at the South Shore Art Center in Cohasset, MA, where she also teaches.